A while back, I mentioned that you can use basic shapes and forms to simplify the subject to get a better general sense of the subject before moving on to the structure and the detail. Today, I thought I would discuss the basics shapes and forms a little more throughly and apply the concept to a couple of simple drawings. Understanding and finding the basic shapes will make drawing easier. The basic shapes are the two dimensional shapes; these are the circle, the triangle, and the square. All other shapes can be viewed as variations and combinations of these shapes. 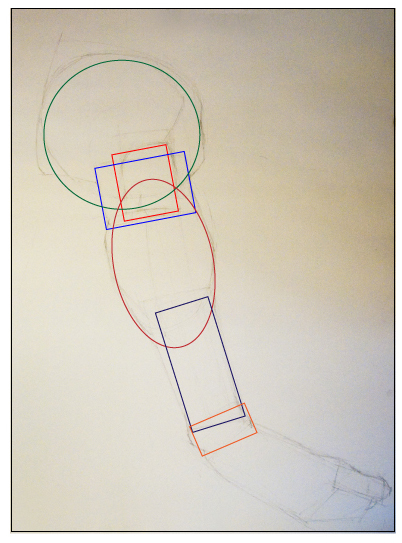 Looking for the flat shapes is a great way to simplify the structure of the subject into its most basic of elements. 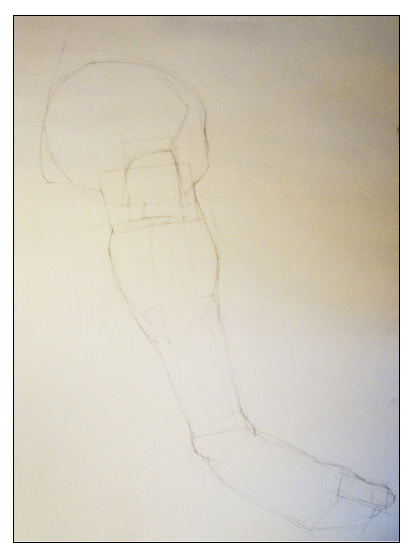 This way you can capture the overall sense of the object you are drawing without worrying about volume. The basic forms are the three dimensional equivalents to the basic shapes. In a sense the basic forms combine elements of the basic shapes to create form. For example, the cylinder combines a rectangle or square shape with the circle to get at its form. The basic forms are the sphere, cone, cube, and cylinder. All other forms can be viewed as variations of these forms. After finding the basic shapes, to add volume or three dimensional form, look at those shapes and find the forms the basic shapes are part of. Below you will find two examples of how to apply the concept of using basic shape and form to guide your drawing. 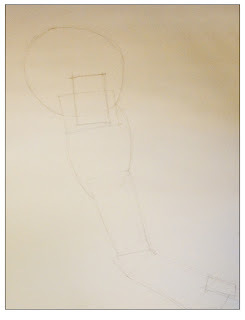 Starting to draw a pencil by finding the most basic shapes. The shapes used for this drawing are the triangle and rectangles. Adding form to the drawing of a pencil by finding the most basic forms. 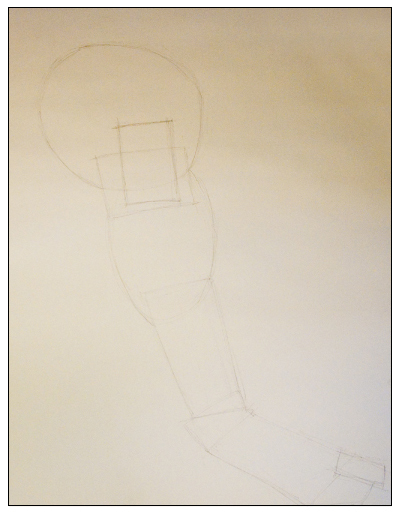 Basic forms used in the drawing are the cylinder and cone. Here I have added the values and details to the pencil. You can still see the shapes used to draw the object. 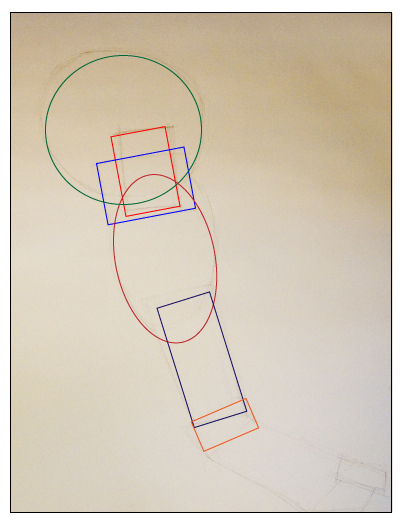 This is an example of finding the basic shapes in a leg of someone sitting down. Here is an overlay of those shapes to make it easier to see what I am looking for. In the next example, the shapes and forms have been refined from the basic shapes into the structure of a leg. 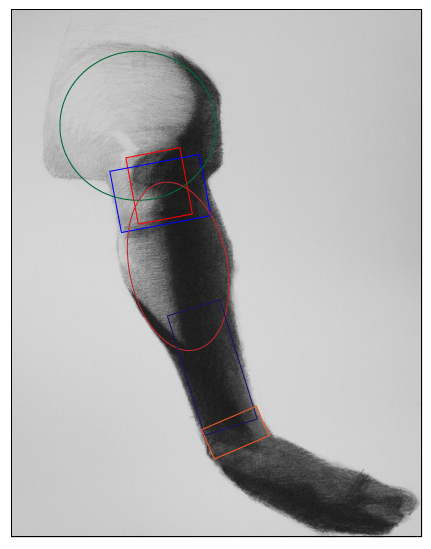 This overlay shows that even though I have refined the shapes of the leg, the basic shapes that guided me are still there. 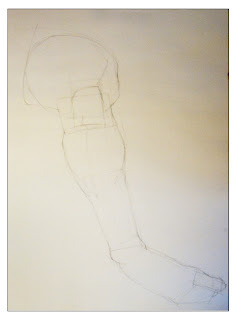 The leg now has shadow and value added following the structure in my drawing. One more overlay to show the drawing started from very simple shapes and was built up from there. For a more detailed example of how this works see the post on drawing hands. 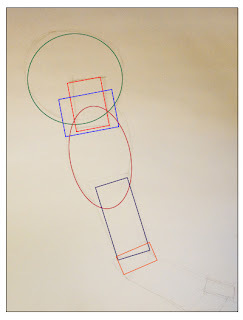 This post explains finding simple shape, form, and structure step by step. 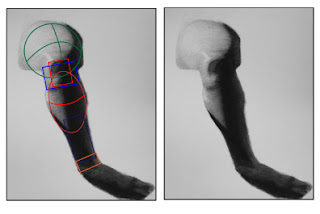 Keep in mind that you can visualize the basic shapes of complex structures to help understand the form you are drawing. This will make it easier to draw a complex subject by breaking down the complexity into more simpler stages to build on.